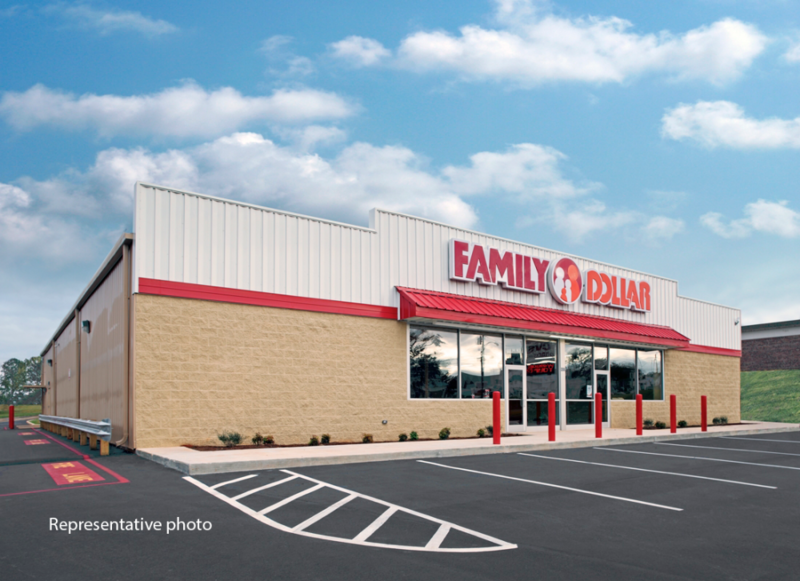 This new construction Family Dollar, located in Eastpoint, FL near Apalachicola, is estimated to open August 2019. Family Dollar chose to build a larger format ±9,180 SF building on a ±1.41 acre corner lot on Highway 98. It has the added investor tax benefit of being in an Opportunity Zone. This 10-year NN leased property is an ideal 1031 exchange property with a strong national tenant and is offered at a 7% cap rate. It also has six 5-year renewal options, each with a 5% rent increase. The initial annual rent is $129,319.08. It is anticipated that store sales, based upon limited local retail options, coupled with the extensive vacation rental activity, will be high. There are minimal Landlord responsibilities which include roof, structure, fire sprinkler system and the parking lot. The roof includes a transferable warranty. The Tenant is responsible for all other repairs and maintenance and fully reimburses the Landlord for insurance and taxes. This STNL investment opportunity is offered at $1,850,000. 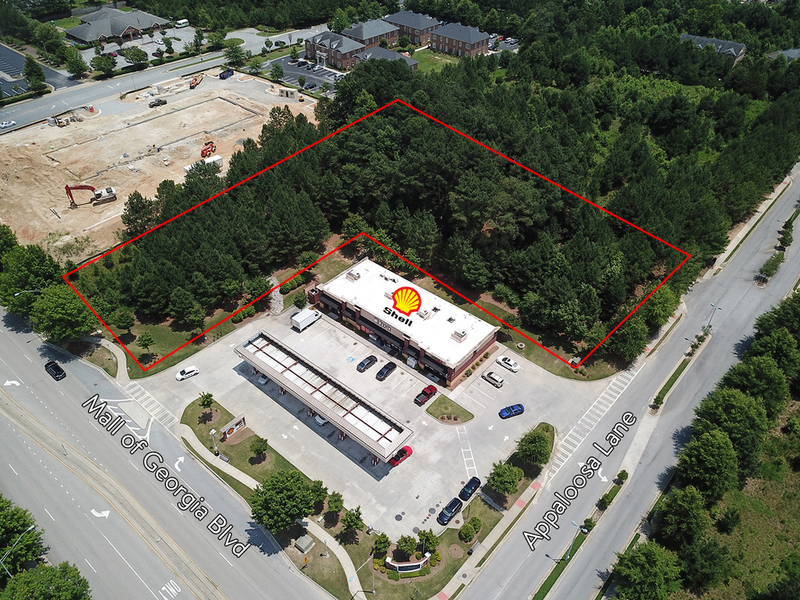 This ± 1.78 acre site is an excellent opportunity to redevelop or add retail/restaurant space to the existing gas station. The current zoning, SCCD (South College Corridor District), allows for a multitude of uses including gas stations, convenience store, retail, restaurants, banks, shopping centers and much more. This is an irreplaceable site, situated just 2 miles from Auburn University, in Auburn, AL and along the heavily-traveled main retail corridor. 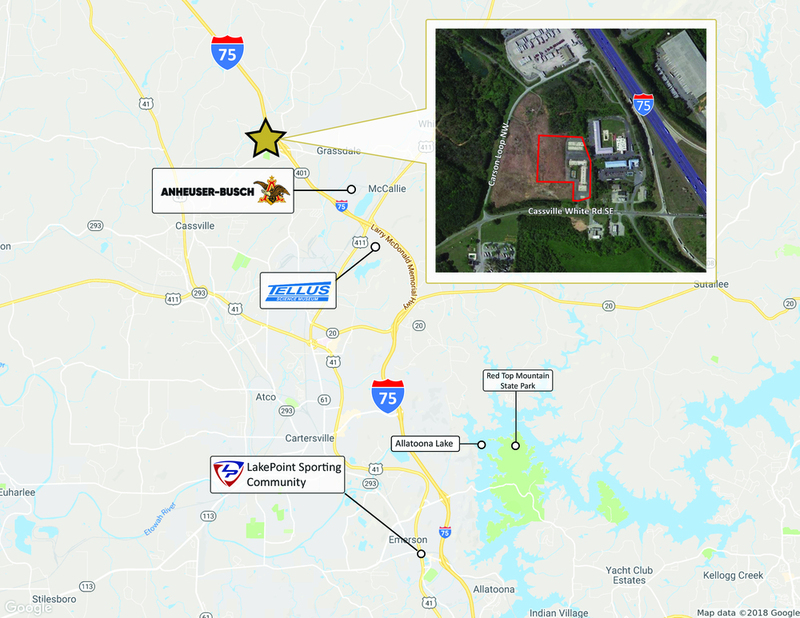 Bull Realty is pleased to present this 5.94 acre approved multifamily site, located in in one of the hottest submarkets in the Atlanta MSA: Covington, GA. Located just off I-20 E on Access Road and right in the heart of the "Hollywood of the South," the site is just 8 minutes from Covington's new Triple Horse Studios, 9 minutes from Three Ring Studios and less than 14 minutes from Shire Pharmaceutical. The site offers easy access and convenience for multifamily developers looking for a site in the middle of major activity and development with multiple frontage options. Former bank branch available for sale or lease. Neighborhood Shopping (NS) zoning allows for variety of medical, professional, and retail uses. 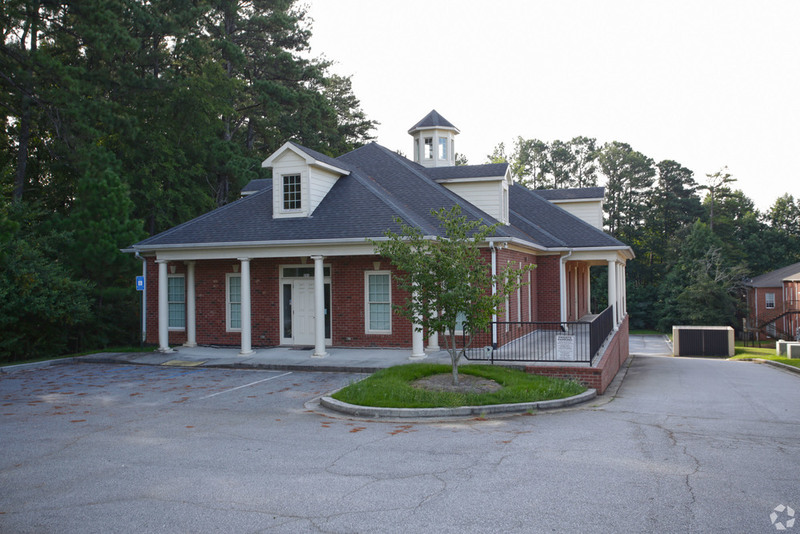 Former bank branch offered for lease or ground lease. Neighborhood Shopping zoning allows for variety of medical, professional, and retail uses. 0.85 acre land site zoned NS. Neighborhood Shopping (NS) zoning allows for variety of medical, professional, and retail uses. Former bank branch offered for lease or ground lease. Neighborhood Shopping zoning allows for variety of medical, professional, and retail uses. 7 acres of prime commercial land less than 0.3 miles from Interstate 75 with ± 200' of road frontage. The current zoning of C1 in Bartow County allows for many uses including, hotels, gas stations, mini warehouses, retail, multifamily plus much more. The site was previously developed with two hotels but they have been razed and the site is vacant. 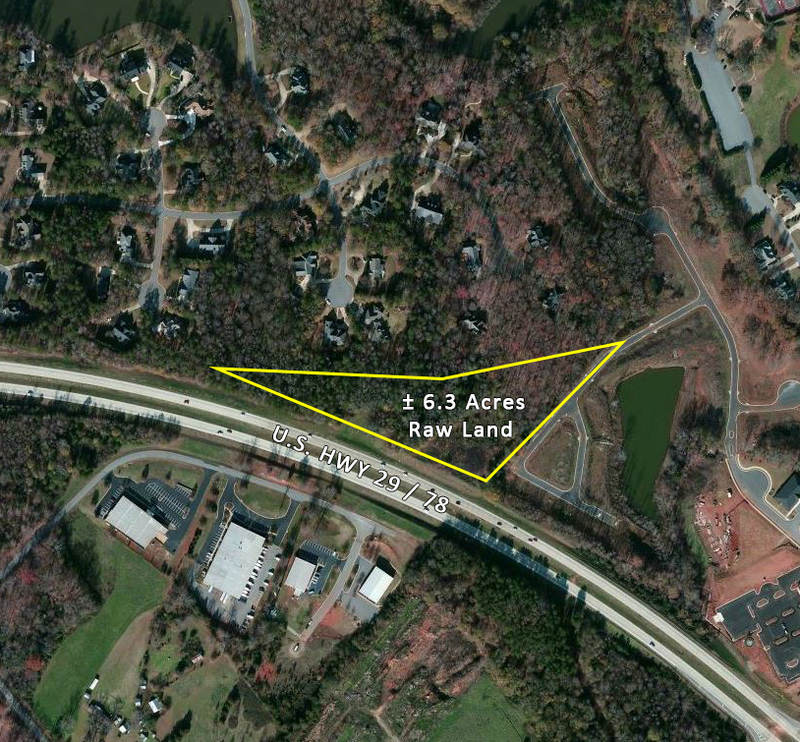 This two parcel, ± 13.7 acre assemblage is located in Forsyth County. It is zoned A-1 with rolling topography but can be rezoned for residential or senior living. Forsyth County has been one of the fastest-growing areas in the United States in terms of percentage of growth for several years, and at $84,872 per household income, it is also the wealthiest county in the state of Georgia, and currently is the 30th wealthiest county in the nation. The property is in Shiloh Point Elementary, Piney Grove Middle School and South Forsyth High School districts. 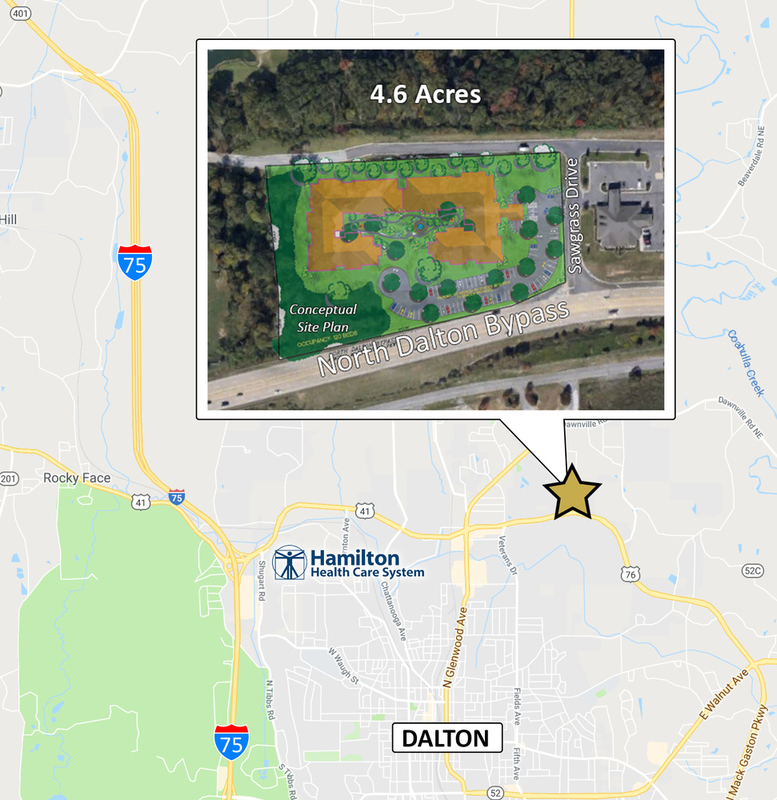 This 4.6 acre site is well-located on the northwest corner of North Dalton Bypass and Riverburch Parkway in Dalton, GA. The parcel is less than (3) miles from I-75 and zoned C-2 and is fully entitled for a senior housing community. Adjacent to Dalton Golf & Country Club, it offers excellent visibility in a growth corridor, has strong support from the local community and benefits from limited competition in the local market. 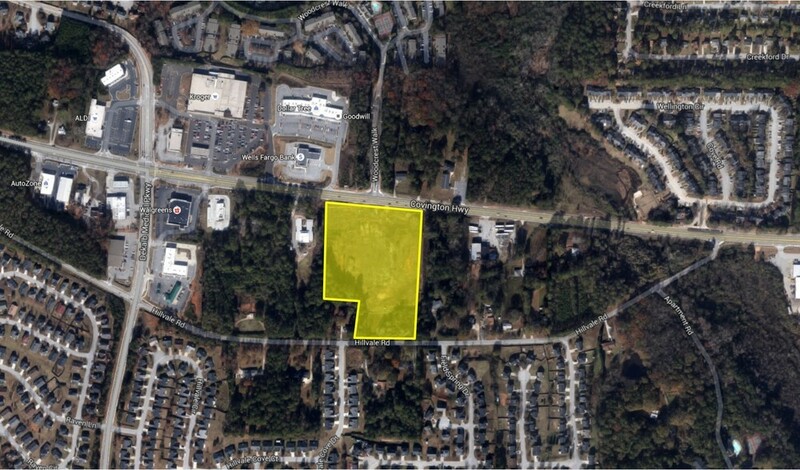 This site is ideal for a potential age-restricted Class A apartments in the affluent Athens submarket of Watkinsville. The site is zoned OIP (Office Institutional Professional) and is conditioned specifically for a CCRC (Continuing Care Retirement Community/Assisted Living.) 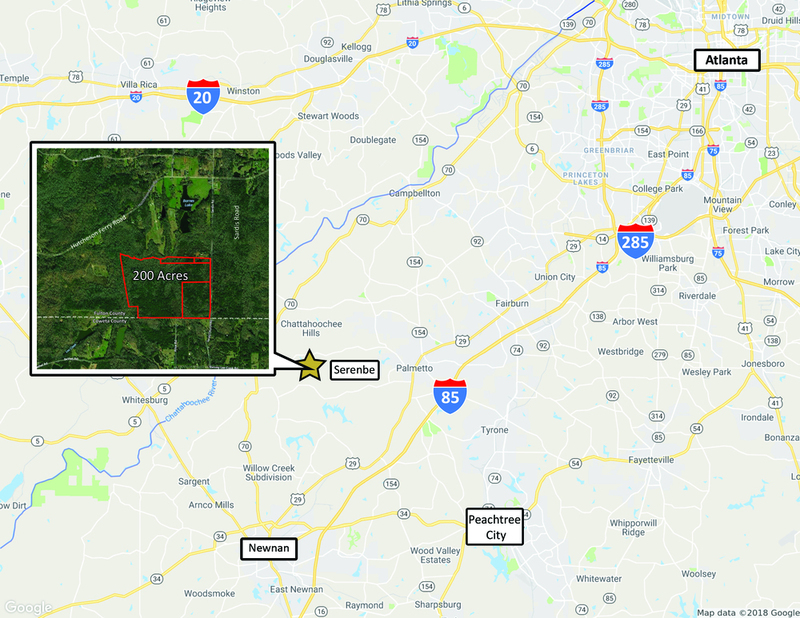 The ± 6.3 acre site has ±1,044' of frontage on GA-316 and complimenting the adjoining ± 24.5 acre property, currently zoned OIP for an Assisted Living, Memory Care, and Independent Living Cottages Senior Living Village. This site is adjacent to Jennings Mill County Club which offers potential golf cart access. 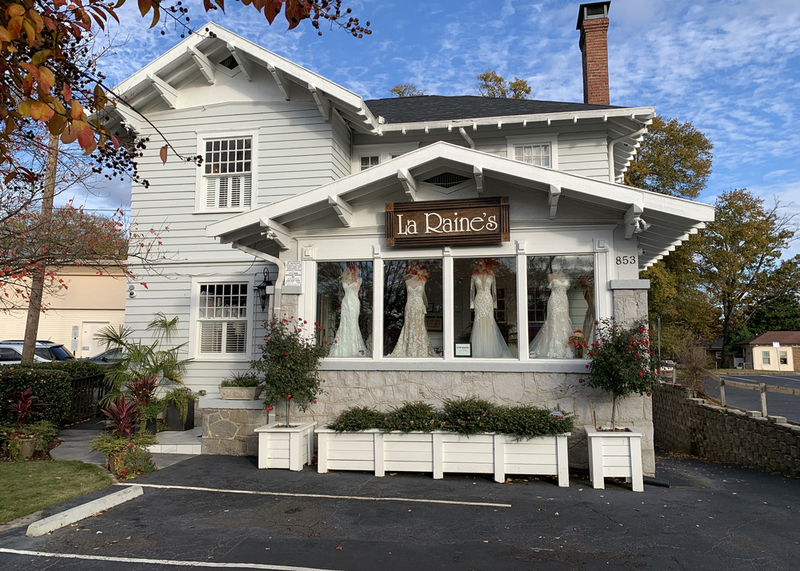 It is also situated near a destination shopping mall, with medical offices such as the Piedmont Oconee Hospital, DaVita’s Dialysis Center and a new Mercedes Benz dealership also in close proximity. The Athens MSA is ranked as the second best retirement destination in the country according to Forbes Magazine. The University of Georgia adds to the cultural attractiveness of the area. Watkinsville is located about one-hour northwest of Metro Atlanta and in the path of growth between Athens and Atlanta. The average net worth within a 3 mile radius of the site for age 75+ is $1,116,400. The community is part of the Athens 200,000+ population MSA which ranks #3 out of 26 most desirable retirement destinations in the US, according to Forbes Magazine. 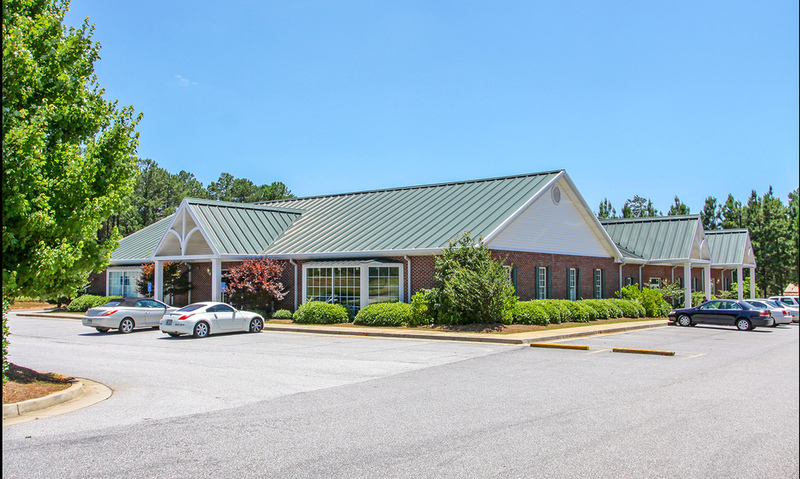 This 8,500 SF medical office building is well-located on a signalized intersection with excellent visibility to Scenic Hwy/Hwy 78 in Sneville, GA. This is an ideal owner/user opportunity with the option for additional tenant income. The high-quality brick building is two stories on ± 0.74 acres, with monument signage in the front and ample surface parking. The office building shares a signalized intersection with a 200,000 SF fully-occupied shopping center with tenants such as Belk, Big Lots, Ashley Homestore and more. The property is easily accessible to many shopping centers with strong anchor tenants, QSRs, and retailers including Eastside Medical Center, Target and The Home Depot. This 10,379 SF office/flex building is situated on one of the main traffic corridors in Clarke County, just 4 miles to the University of Georgia. Suite 100 is ± 5,050 SF with a ± 2,500 SF warehouse space that includes two drive-in doors. It has a well-appointed office space with six private offices, open space for showroom or workstations, a full break room and two restrooms. Suite 200 is a ± 1,250 SF office suite that includes two private offices and a restroom. The property boasts excellent visibility and high traffic counts of 20,920 vehicles per day on GA Highway 129. 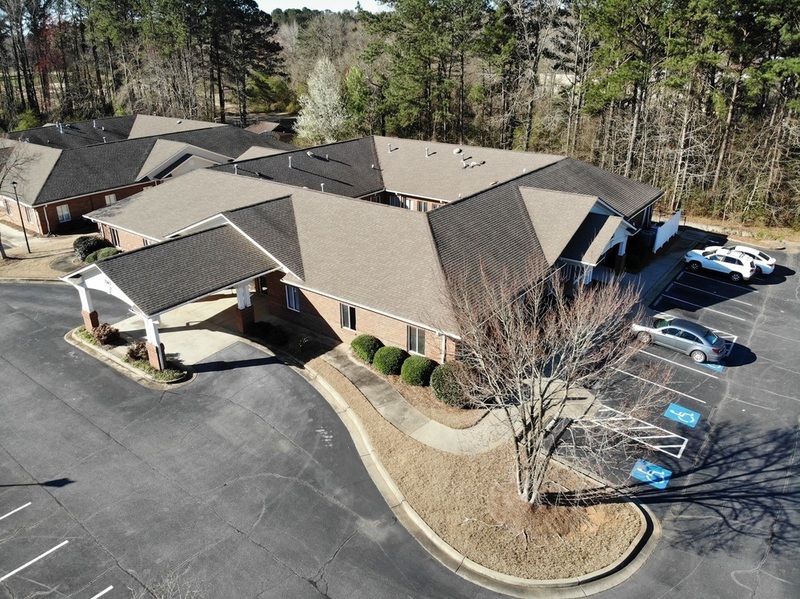 Opportunity to acquire a ±9,049 SF, two-tenant, medical office opportunity in Newnan on Highway 34 with huge upside potential. 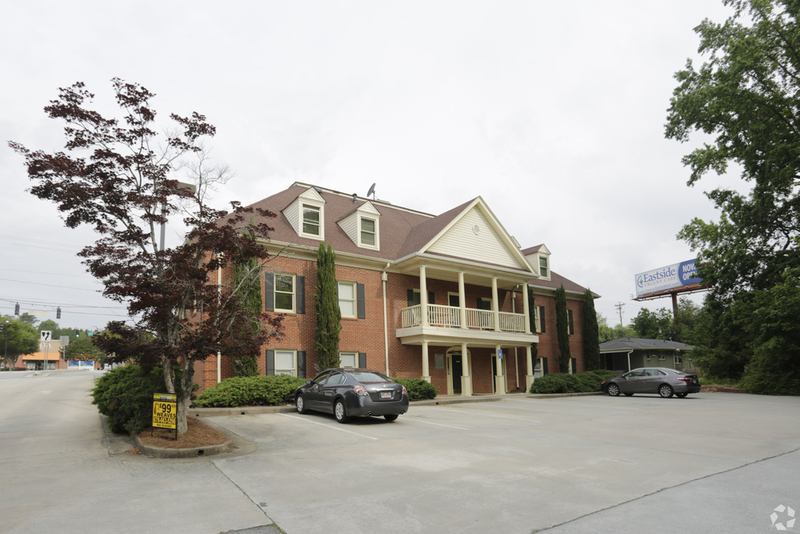 This medical office opportunity is located along Highway 34 East with quick access to I-85. 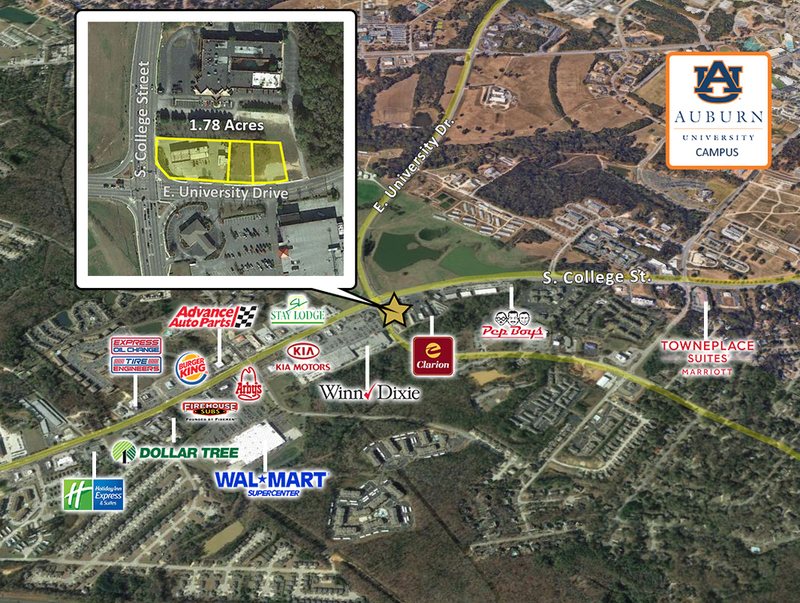 Highway 34 is the main corridor stretching through Newnan providing tenants excellent street exposure. 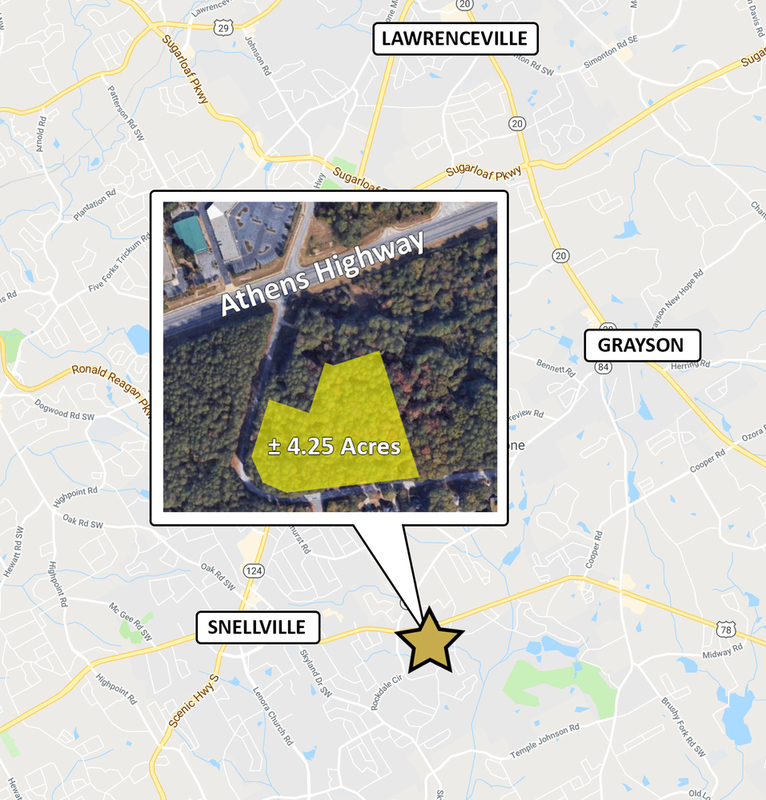 This is an excellent opportunity to own a 200 acre land tract in the beautiful city of Chattahoochee Hills in South Fulton County. The site is a short drive to the renowned Serenbe Community, fifteen minutes from Newnan and 30 minutes from Atlanta’s Hartsfield-Jackson International Airport. The Chattahoochee Hills community's goal is to improve, preserve, protect and maintain the City’s parks and greenspaces. The subject property is also located within close proximity to several area parks, such as Hutcheson Ferry Park (2 miles), Rico Park & Athletic Field (4 miles) and Cochran Mill Park (8 miles). 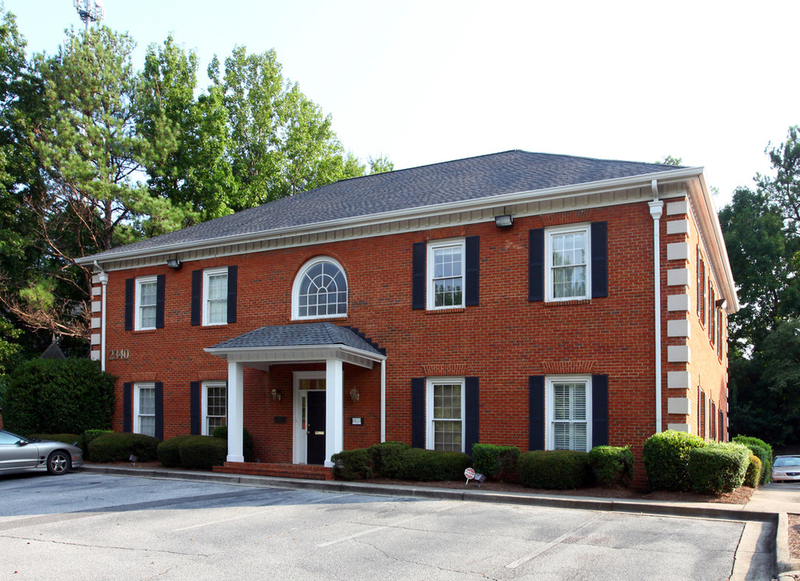 This 8,400 SF medical office building is well-located with excellent visibility to Lawrenceville Hwy in Lawrenceville, GA. The seller currently operates a dental practice in the upper-level and will consider a sale-leaseback at market rent. 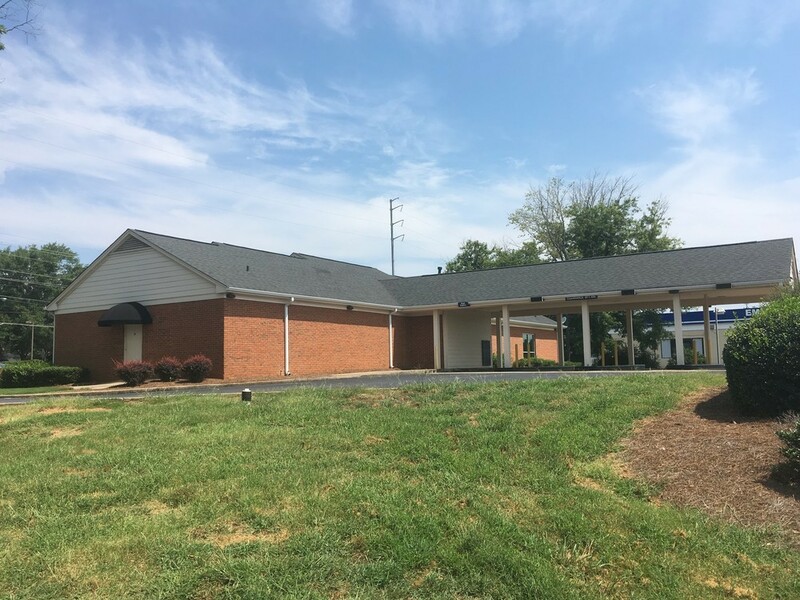 This is an ideal owner/user opportunity for a medical or dental practice to acquire a property in an office park with the option for additional tenant income. The high-quality brick building was constructed in 2010 and is divided into three suites. Monument signage is available in the front as well as ample surface parking. The property is easily accessible to Gwinnett county and surroundings including Gwinnett Medical Center, Gwinnett County Airport, Gwinnett Memorial Park, Georgia Gwinnett College and many dining and retail options. Surrounding demographics are high with over 215,000 residents within a 5-mile radius. This 9.3 acre commercial tract is zoned C-1. 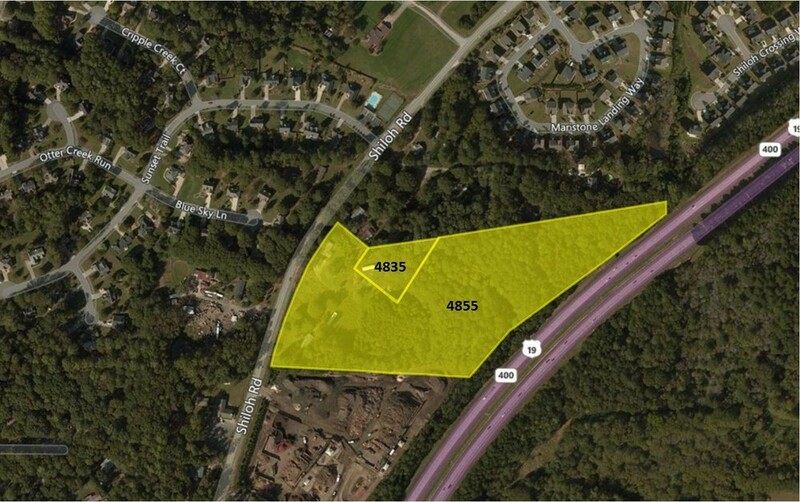 This parcel previously sold for $2,900,000 in 2010 and can be acquired now for under 40% of that price.